Chateau Belair-Monange is a Premier Grand Cru Classe in the Saint-Emilion Grand Cru appellation. The estate's history dates back to the Roman era, and has always been a Grand Vin of Saint-Emilion. Chateau Belair-Monange's 23.5 hectares are planted on the rich and diverse soil of Saint-Emilion. The terroir is composed of limestone and blue clay. Chateau Belair-Monange grows Merlot and Cabernet Franc grapes, that are known for their minerality, freshness and long finish. Uniting two different terroirs in the Saint-Emilion appellation on the Right Bank of Bordeaux is the Chateau Belair-Monange property, boasting over two centuries of winemaking excellence. 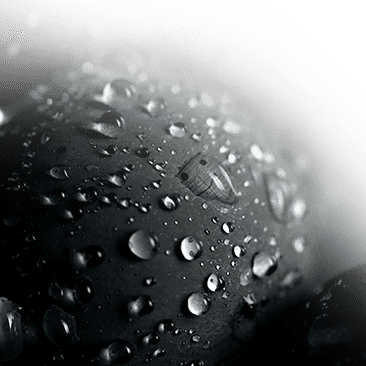 In the decade that has passed since its acquisition by the Moueix family, this noble Premier Grand Cru Classe of Saint-Emilion has continued to produce intensely flavorful and elegant wines, with a fantastic balance between red fruit and a signature minerality. The history of Chateau Belair-Monange can be traced back to the 14th century, to a time when the Guyenne province (which includes Bordeaux today) was still under English control. At this time, the estate belonged to the governor of Guyenne, Robert de Knolles (also written as Knowles and “Frenchified” as Canolle). 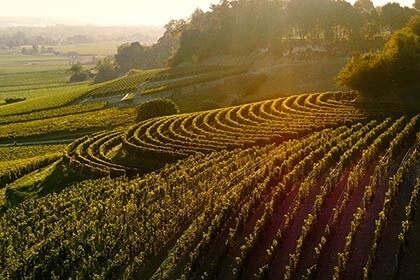 The wine, then commonly referred to as “cru de Canolle,” became quite successful during the 18th century and was considered one of the best representations of Saint-Emilion. During the French Revolution, the estate was confiscated, but the “Canolle” family managed to get it back in 1802, eventually renaming it Chateau Belair. In 1802, the wines of the property became one of the very first in Bordeaux to be fully bottled on site, over a century before this practice became common among the region’s other Grand Crus. In 1916, the estate was acquired by Edouard Dubois-Challon, who also owned the neighboring Chateau Ausone. The Challon family proceeded to renovate the estate, which had fallen into a state of neglect after phylloxera, and, in 1975, put Pascal Delbeck in charge of winemaking at the estate. Starting in 2003, shares in the estate were gradually sold to Ets. Moueix and in 2008, the Moueix family gained full financial control of Chateau Belair. 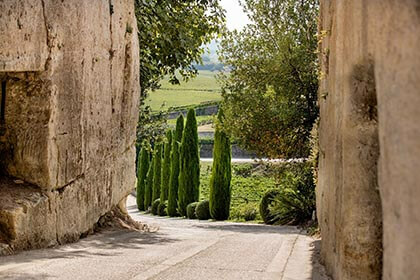 Quickly after the purchase, Christian Moueix decided to rename it Belair-Monange, adding the maiden name of his grandmother to signify a new path for the estate taken by the family business. 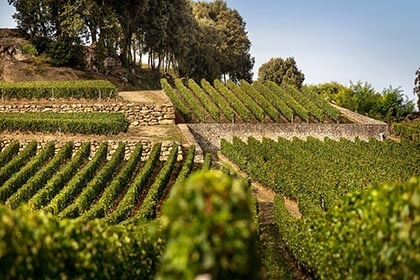 Since 2008, Christian and his son Edouard Moueix have made monumental investments in both the vineyard and winery, resulting in undeniable improvements in the quality of the wine in recent years. Following the 2012 Classification of Saint-Emilion wines, this Premier Grand Cru Classe B rated property absorbed the 27-acre Chateau Magdelaine, which Jean-Pierre Moueix had purchased in 1952. Doing so would bring together two remarkable terroirs in the Saint-Emilion Grand Cru appellation, resulting in wines of incredible depth and aging potential. Extensive construction work was carried out on the underground limestone caves and quarries of the property. Out in the vineyard, the team began drastically reducing yields, picking grapes more selectively and harvesting later in the growing cycle to achieve a higher concentration of phenolic components in the fruit and a greater generosity of style. The winery also invested in optical sorting equipment to ensure only the best grapes would make it into the final blend. The management of the Chateau Belair-Monange has gradually transferred from Christian to Edouard Moueix, who lives with his wife and children on the estate. 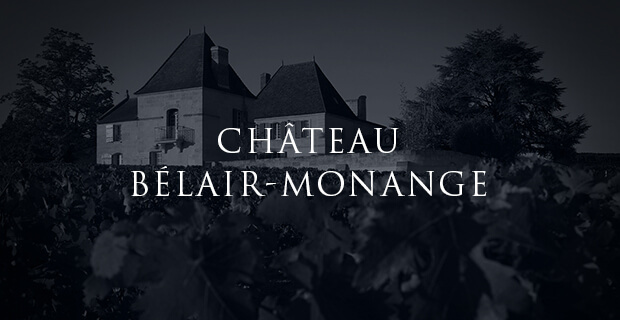 Chateau Belair-Monange is a Premier Grand Cru Classe in the Saint-Emilion Grand Cru appellation. The estate includes 23.5 hectares (58 acres) under vine, of which around 14 hectares are under production. The vineyard is home to two distinct but very complementary terroirs: a central plateau whose limestone soils contribute a freshness, a minerality and delicate aromatics to the final blend, and dense blue clay soils on limestone slopes, which add intensity, persistence and elegance to the finished wine. The vineyard is planted with 90% Merlot and 10% Cabernet Franc grapes, varieties deemed to be the best suited to its terroir. While Merlot typically grows best in clay soils which retain water, the Merlot vines planted in the well-draining limestone soils of the plateau have developed an extensive root system over the years, and these roots dig deep into the soil for nourishment. The limestone bedrock lends the wines a certain structure, allowing them to age for decades upon decades in the bottle. The vines are aged around 25 years, on average, many of the most neglected plants having been replanted when the Moueix family took over the property. The vineyards of Chateau Belair-Monange are managed by means of sustainable viticulture practices, with the soil tilled in four different ways. A manual harvest is carried out with double sorting of the grapes first manually in the vineyard and then optically in the winery. The flagship wine of Chateau Belair-Monange is vinified in a combination of thermoregulated concrete and stainless steel vats, with a gentle maceration and extraction to allow for a pure expression of terroir, vintage and grape variety. The wine is matured for a period of 16 to 18 months in French oak barrels, of which around 50% are new. The result is a beautifully balanced, elegant and age-worthy wine that has become the signature Moueix style. The 2009 vintage was widely lauded for its indulgently creamy, chocolatey, sumptuous nature. More recently, the 2016 vintage shows of a phenomenal liveliness and class, with bright red fruit (raspberry), a certain graphite minerality and hints of spicy black pepper. In 2014, the estate also created a second wine named Annonce de Belair-Monange. Like its older brother, the Annonce cuvee expresses the inherent qualities of its terroir of origin: a generous concentration of red berry flavors, a distinctive minerality, beautiful balance and a charming length on the palate. These wines are already quite drinkable in their youth but will benefit profoundly from a few years in the cellar or a few hours in the decanter before serving.